This extravagant wedding white Venetian eye mask is made out of a durable, yet lightweight resin is hand painted and has an intricate lazer cut metal flower adorning the side. Comes with black ribbon ties for easy wear. 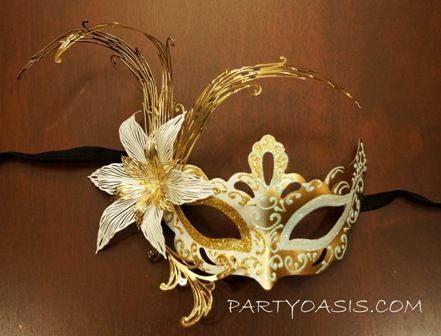 Great for any masquerade themed event.